Stabling - De website van rs-dh! 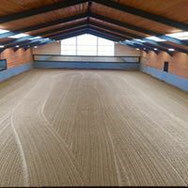 RSDH provides an small amound of stables for stabling, in combination with lessons. Because of the small amound of stables there is a nice and friendly familiar environment at the yard where all riders can develop on their own pace and with a lot of privacy.